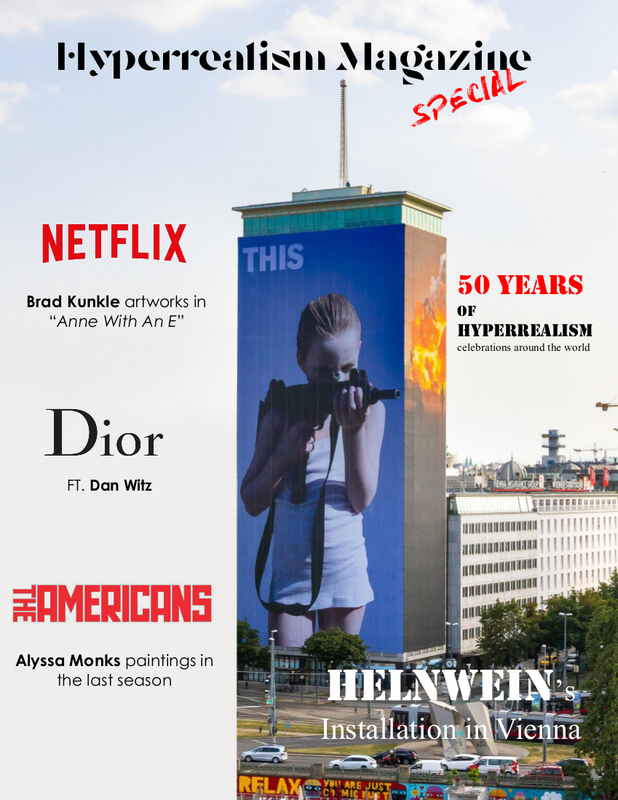 Hyperrealism Magazine - Special edition of August 2018. We all know, Hyperrealism has changed the way of painting. From ’60s of the last century, it totally broke the usual concept of making art and it became always more popular among people, thanks to the extraordinary technique and the common themes. Now, with the web is even more and more spread all over the world and we just realized it’s really punching through our everyday life. Today contemporary artists have more recognition and they take actively part of our lives through media, such as magazine, tv, movies, web tv, even fashion. All these great things are a point for the artist, but also for us and for who wants to become an artist. All these great results deserve attention after a long historic period of “silence” in the art field. And we feel the need to talk about it, to be amazed by all the legends of Hyperrealism and the new generation in the contemporary realism, to realize that contemporary art and the merit have finally beginning to be part of our present. This is a special edition of Hyperrealism Magazine just for our fans, to thank them for the ongoing huge support they’re giving us. Hyperrealism Today: how art is punching through our common everyday life. …and some other extra contents.